The 2018 Indian Budget introduced a long-term capital gains tax of 10% on stocks and equity mutual funds exceeding Rs. 1 lakh. However, all gains until 31-Jan-2018 are grandfathered. This means that you will have to pay tax ONLY on the gain from the base of highest price on 31-Jan-2018. Grandfathering calculations get complex when there are one or more corporate actions in your long-term holdings. The recent major update of MProfit has simplified the calculation of capital gains as per the Grandfathering clause for all transactions (including multiple corporate actions such as bonus, split, merger and demerger). MProfit automatically calculates the long-term capital gains and provides reports in different formats including Summary and Detailed views with all details such as Purchase Price (PP), FMV and Cost of Acquisition (CA) accurately calculated and displayed for each transaction. MProfit has, over the years, perfected the calculation of capital gains and made it extremely simple for users to use this information while filing their tax returns. Very nice product. Suitable for Indian investors. But a bit pricey. But tell me, what happens after you cross 50 lacs limit for free version ? Does the program stop working ? Once you cross the limit of 50 lakh, total of all portfolios, you will not see the current prices and you will not be able to add any more transactions. 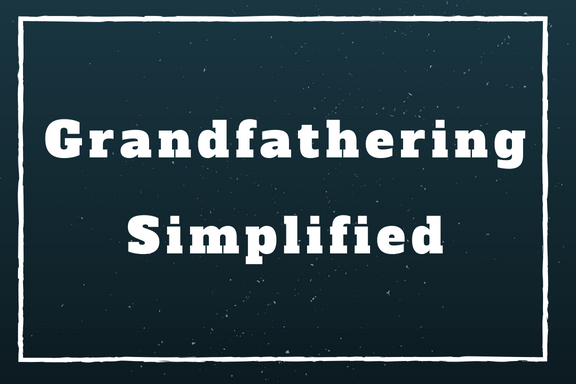 We have tried to explain Grandfathering in very simple terms in our blog post. MProfit calculates the capital gains reports with grandfathering. You just need to upload/import your transactions in MProfit. You can send your contact details to support@mprofit.in Our support team can guide you further.